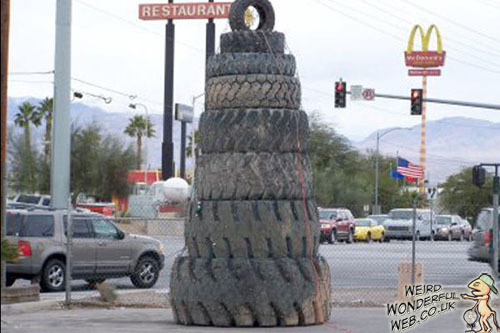 Weird Wonderful Web: Stack of tyres Xmas tree! Probably the ugliest Christmas tree EVER! But hey, someone went to the effort of stacking all those tyres (tires for our US friends). AND went to the extra effort to put a star on top. So be thankful for what you get and merry Christmas.